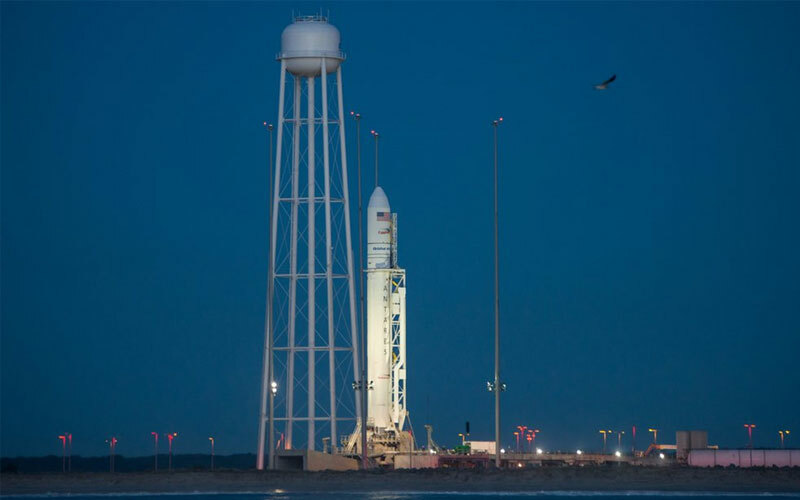 The Antares launch vehicle was developed by Orbital ATK to fulfil NASA’s requirements for the agency’s Commercial Resupply Service (CRS) programme. The rocket was first launched in 2013 and successfully flew four missions before exploding on the pad during its fifth in late 2014. The Antares was then completely redesigned and returned to service in October 2016. The first 5 launches of the Antares launch vehicle utilised the 100-series variant. Following the launch failure in 2014, the 100-series was retired and the redesigned 200-series became the preferred Antares variant. Orbital ATK is currently working on a new more efficient variant, the 300-series. The launch provider has yet to announce when the Antares 300-series will begin its service. Today, the Antares is manufactured and operated by Northrop Grumman Innovation Systems following the defence giant purchase Orbital ATK in 2017.